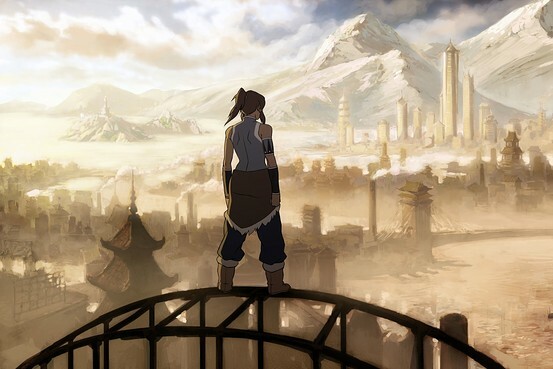 Legend of Korra is a new animated tv show made by the original Avatar: The Last Airbender creators, Michael DiMartino and Bryan Konietzko. It features new characters and settings, and takes place 70 years after the end of the first tv show. It will air on Nickelodeon. The USA premiere date is April 14, 2012. International dates are yet unknown. 12 episodes, while Season two will have 14 episodes. As a mini-series, the seasons will be more self-contained/story-driven, and have less filler episodes. The show will be more mature, sophisticated than the original, but will still have a balance between humor and drama. If you wish the show to be a complete surprise, don't read further. 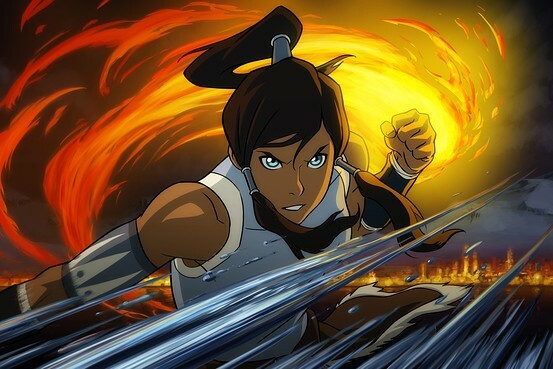 Korra is the title character, and the Avatar following Aang. She is a Waterbender from the Southern Water Tribe and is 17 years old. She is described as "passionate, rebellious, and fearless," and her character design was inspired by snowboarders. She is very athletic. 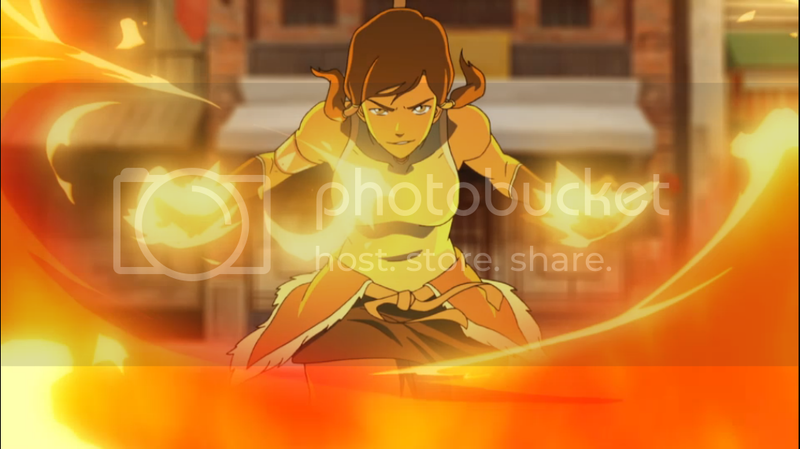 She has already mastered Water, Earth, and Fire, and now needs to learn Airbending. 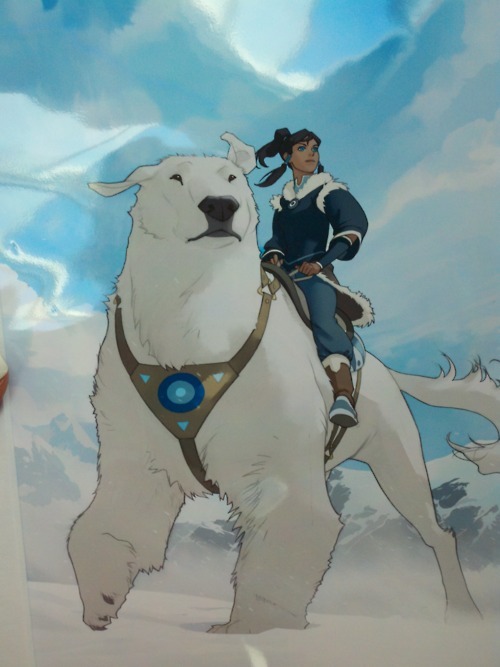 She rides a Polar Bear Dog named Naga. Naga is female and runs on four legs, but can also stand on the back two. They are friends with Mako and Bolin. 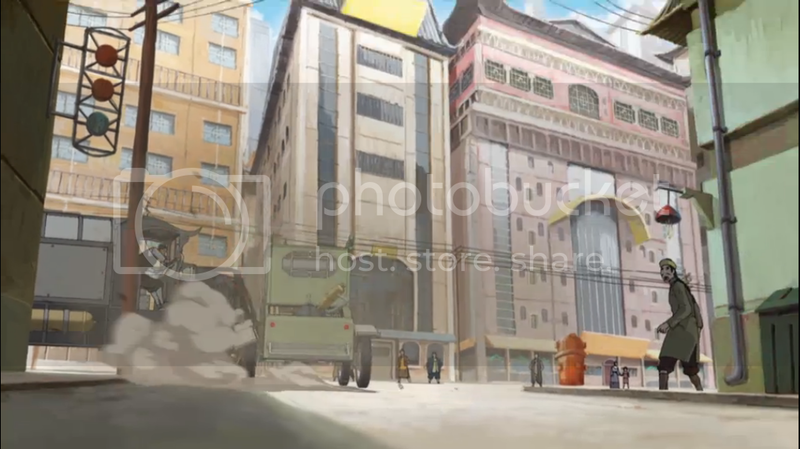 Mako travels with Korra and his brother Bolin. Mako is the older brother, and is a Firebender. He is the brooding type (but not as much as Zuko), and his hair is combed forward. He is named after Mako Iwamatsu, Uncle Iroh's original voice actor who passed away in 2006. 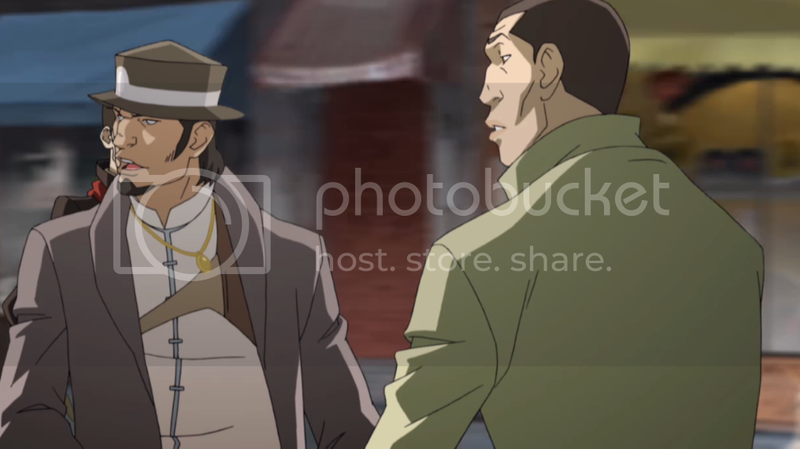 Bolin is Mako's younger brother, and is an Earthbender. Bolin is goofy and kind of naive, and is close to the original idea for Toph's character. Pabu is his pet Fire Ferret (red panda/black-footed ferret). Amon is the mysterious leader of the anti-bending revolutionaries, The Equalists. All of the members wear masks, and use Chi-Blocking techniques. 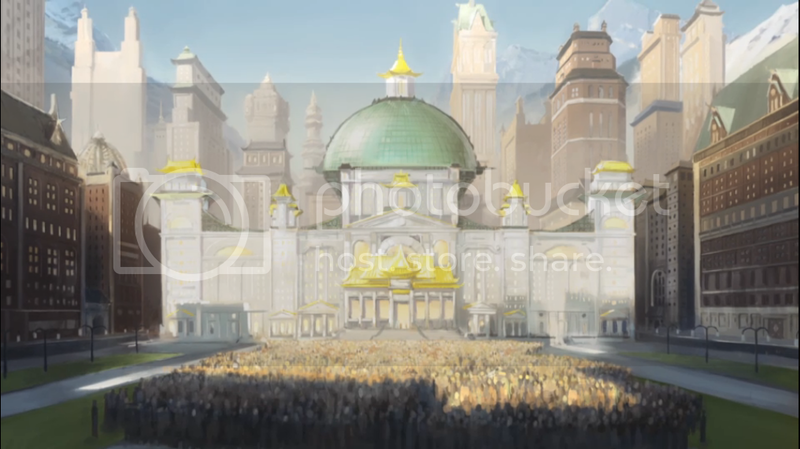 They are the main antagonists Korra and her friends will fight against. 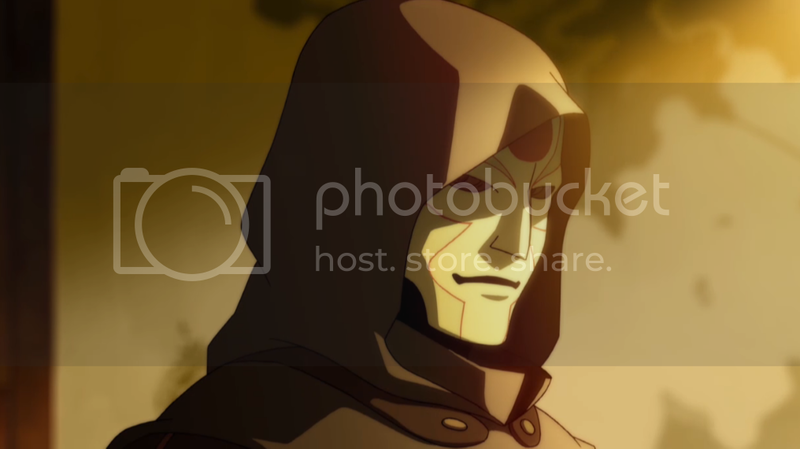 Amon has been noted to be "very scary" and "definitely a challenge for Korra." Tenzin is the youngest son of Aang and Katara, and an Airbender. He is an older man in the show with a young family of his own. He is very serious, tries to be the 'zen master' but can lose his patience. He can be funny when his kids are being a handful. Korra seeks Tenzin out to teach her Airbending. Tenzin is married to Pema, who is a non-bender. They have three kids, with a fourth on the way. Jinora is the oldest daughter, and a bookworm. Ikki is the second daughter, who talks very fast and is 'fun and crazy'. Meelo is the youngest son, and seems mischievous. All three children are airbenders. Chief Lin BeiFong is Toph's daughter, and the chief of police for the United Republic city. She should be a metalbender, like the rest of the city's police force. No word yet on who her father is. She has two long scars running down the right side of her face, and is very tough. Pre-Korra Characters: Aang and Katara had three children, the youngest being an Airbender, Tenzin. 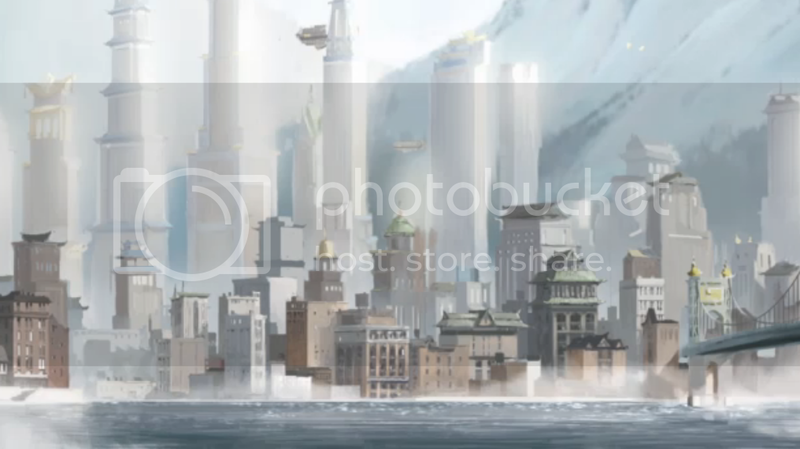 Apparently Aang died earlier than normal because of the energy spent suspended in the iceberg for a hundred years. He will still be present "in some way" for the new show though. In addition, Aang found a herd of Sky Bison after the war; they look slightly different from Appa. There is a new specie of flying lemur as well; they will be seen more in Season Two. The Cabbage Merchant's legacy will also be present in some way. No other word on who might still be around or their legacies/descendants. 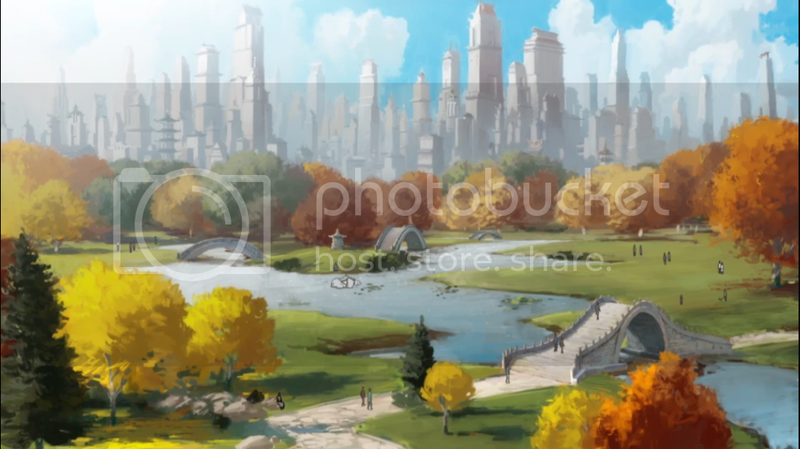 United Republic City will be the main setting for the show. 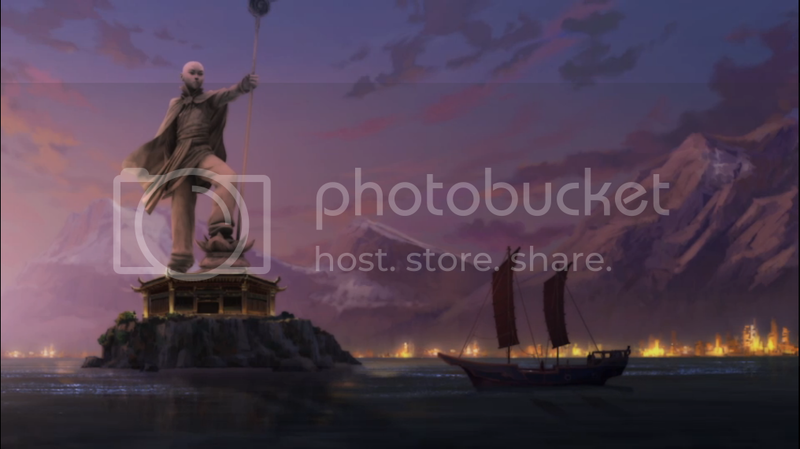 After the war Aang and Zuko founded this city, and a large statue of Aang can be seen in the bay. It is a multicultural metropolis with steam-punk technology, and draws inspiration from Shanghai, Hong Kong, Manhattan, and Vancouver from the 1920's. The city currently has rampant crime and is dealing with an anti-bender revolt. Metalbending Cops are the unique police force in Republic City. Toph had traveled the world to teach earthbenders how to Metalbend, and those that succeeded were put into this elite force. They wear metal-cable spools on their backs that can extend out of their sleeves, so they can use it to subdue criminals or zip-line through the city. Toph's daughter is the current Chief of Police. 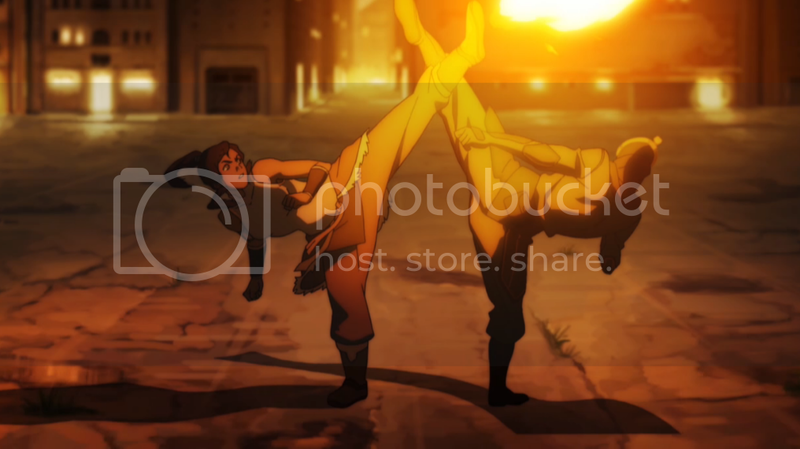 Pro-Bending is a popular arena sport in Republic City. Teams are made up of three members, one of each bending element, and battle against other teams. The arenas are surrounded by water, and players wear specific uniforms. 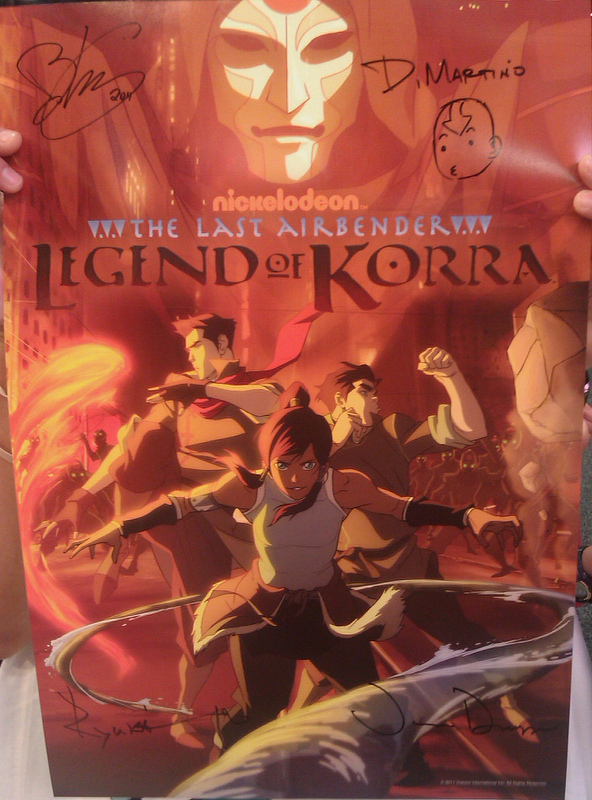 Korra, Mako, and Bolin participate in it as a team. 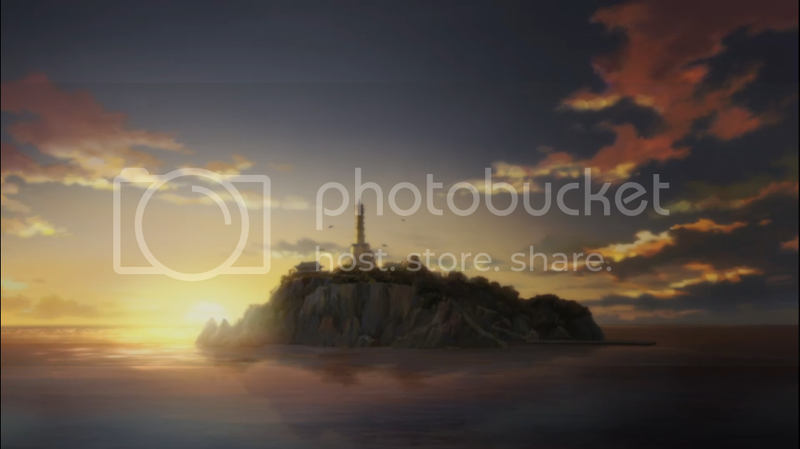 Air Temple Island is a little sanctuary off the bay of United Republic City, and is where Tenzin and his family lives. In the trailer you can see a number of sky bison flying around the tower. 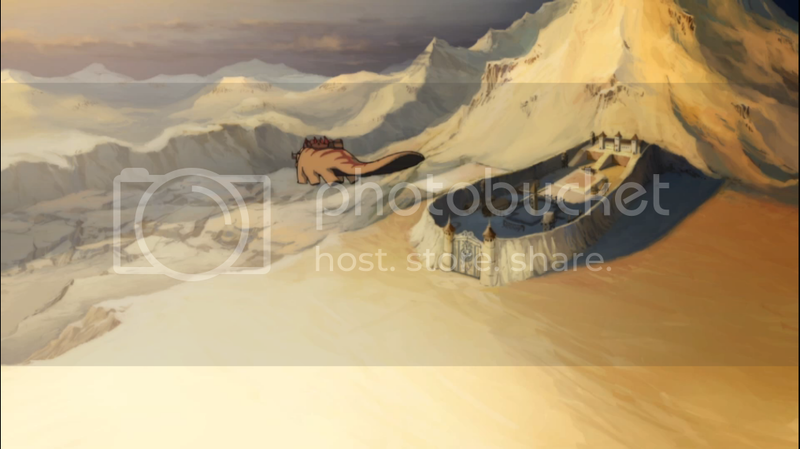 Other Locations include the Southern Water Tribe (left) and some kind of temple on a snowy mountainside. New Fighting Styles include more mixed martial arts. Sifu Kisu is back, along with Mac Danzig and Jeremy Umphries for the Mixed Martial Arts, along with Steve Terada and Jake Huang for the martial arts "tricking" which is like Parkour minus the buildings. New technology includes cars, motorcycles, and telephones, as well as street light markers and clocks. Electricity? Maybe. Zeppelins return as well, as the police force's private fleet that surveys the city. Wardrobe styles in the city are inspired by the 1920s and the Industrial Revolution, with a Shanghai twist. Music for the show will be by The Track Team again, and will be based around the concept of what if the Chinese invented 1920's New Orleans Jazz. They're also going to be exploring more traditional Chinese instruments, as well as a Western strings element. Mike and Bryan will be directly writing every episode. Co-executive producer: Joaquim Dos Santos. Josh Middleton and Lauren Montgomery will work on Season Two. Show produced at the Nickelodeon Animation Studios in Burbank, Calif.
Show will be animated in South Korea. *Third image thanks to Amira, and fourth image thanks to Avatar_Mom. TheGadgetFish - High-quality shots of character designs, scenes, and creatures. 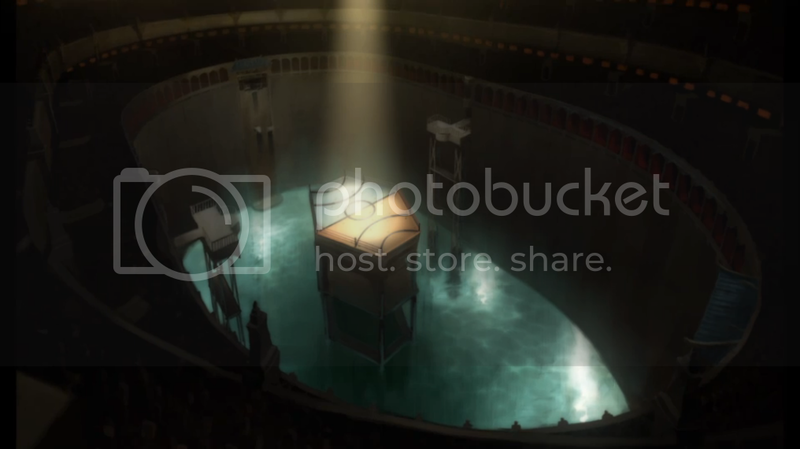 Amira Photobucket - High-Quality shots of concept art, scenes, characters, and creatures. Owldee Photobucket - Medium-quality shots of the characters, early concept art, and Paboo. "As a mini-series, it's going to be really tight. While we really love the filler episodes, those are some of our favorites, this thing is just lean and mean. It's a really cool driving story." "The world has definitely changed, and evolved, and advanced, but we're very conscious of keeping the same feeling. Not totally different, but it's definitely generations later." 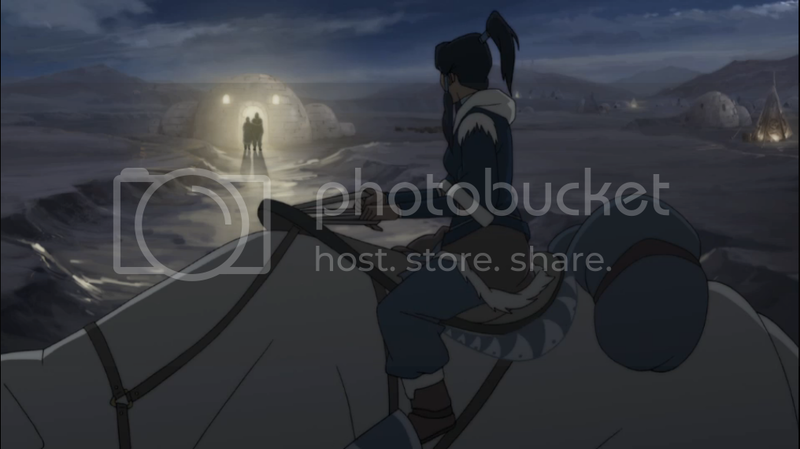 There WILL be a love interest for Korra / "plenty of romance in the story, but the same balance of ingredients." The show will be a bit more mature, although there would still be a balance between drama and fun.... Bryan: "It's fair to say we're dealing with some sophisticated things and the show is growing up a bit." The show won't cover more mature subjects necessarily, just different mature subjects. On the persecution of Airbenders being compared to the X-Men registration act: "We'll see something like that, but in sort of a different structure." "When we first starting talking to Nickelodeon about doing a new series in the 'Avatar' world, they asked if we could do shorter arcs-- more like a show like '24' where there's a specific villain or challenge for that particular season." "In every way we're trying to improve [the Airbender world]. We're not trying to change it so much that it's unrecognizable and doesn't feel like the same universe, but we are trying to update it, improve it, make everything just more sophisticated and appealing...It's kind of like the show has grown up."